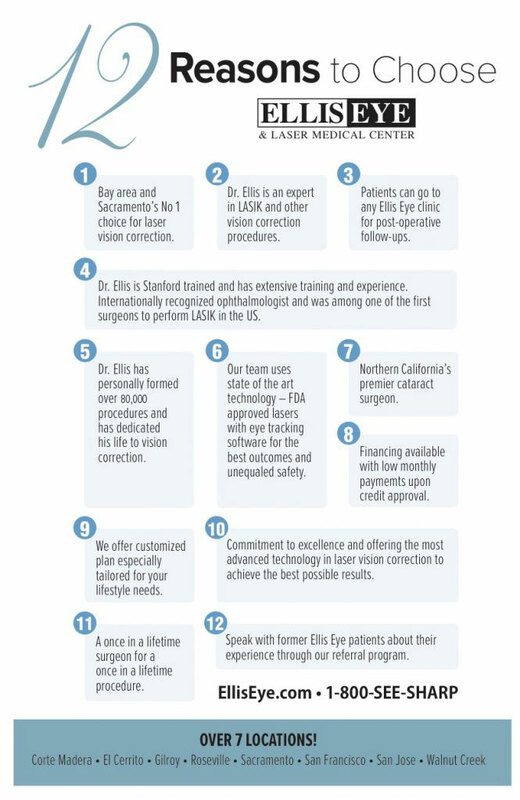 Ellis Eye & Laser Medical Center’s seven Bay Area locations offer the highest rating of surgery, technology, and service for vision correction surgery. You will experience excellent care whether you are seeking laser vision or cataract correction. 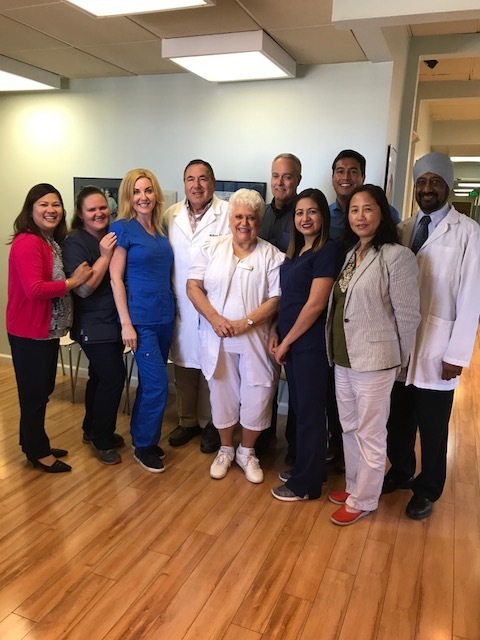 Our friendly staff and physicians are dedicated to making your experience as safe and pleasant as possible. Our credentials speak volumes about our experience and successes. To better understand the quality care you will receive, please read the following details regarding our practice and world renowned surgeon. 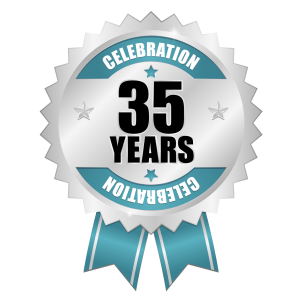 → Dr. Ellis is an innovator in the field of refractive surgery, with over 33 years of ophthalmology experience. → When you schedule your surgery with us, you can be assured that Dr. Ellis will be your surgeon. → We employ dedicated, people, trained to deliver the first class attention our patients deserve. They are certified for their specific roles and duties upgrading their skills with additional training annually at the local and national level. Dr. William Ellis is world-renowned as an expert in refractive surgical procedures. He has helped to pioneer most of them, has written surgical textbooks, and published extensively on refractive procedures. In addition, he has taught hundreds of other ophthalmologists how to perform them. At Ellis Eye and Laser Medical Centers, we offer the highest quality of surgery, technology, and service in the field of vision correction. You will experience excellent care whether you are seeking laser vision or cataract correction. All surgery is performed by Dr. William Ellis personally. We do not employ other surgeons. Some corporate centers fly contracted surgeons in from other locations. This never happens at Ellis Eye. All operative procedures are by Dr. Ellis himself. You get the benefit of years of experience. Dr. Ellis is a surgeon’s surgeon. He has performed over 68,000 procedures, and his patients have included athletes other physicians, nurses and famous personalities. Some centers participate in various schemes whereby the referring doctor is paid large sums to provide postoperative care. This arrangement is termed co-management and in some cases may border on fee splitting, which is illegal in California. Sometimes the referring optometrist may receive as much as $500 per eye or more. These fees are often passed on to the patient and the center will charge them more for a procedure in which they pay for co-management. At Ellis Eye, we do not engage in fee splitting or co-management. By providing all of your postoperative care directly we use our years of experience to benefit you directly. This ensures that you receive the finest post-operative attention. And the good part is that you save substantially on the cost of your procedure. At Ellis Eye, you get the benefits of Dr. Ellis’ premedical training in electrical engineering. Dr. Ellis received a degree in EE from U.C. Berkeley prior to attending medical school and receiving his ophthalmology training. He majored in field and wave transmission, the subspecialty involved in laser design and development. At Ellis Eye, we employ our own factory-trained physicist on staff to perform laser maintenance and quality control. At some centers, it may be six months or more between visits by the service technician. Not at Ellis Eye! And because we perform our own service we can pass along large cost savings to you in the form of lower procedure fees. In contrast to some doctors who rent lasers, or have lasers brought in on a truck the day of surgery, at Ellis Eye we own all our equipment and lasers to assure the highest quality. Dr. Ellis knows the laser technology and the medicine too! Because we perform our own service, own our own lasers, and refuse to pay kickbacks to referring doctors, Ellis Eye and Laser Centers can deliver the lowest pricing in Northern California for refractive procedures and LASIK. Our goal is to offer the most affordable treatment possible to our patients. Our 0 Down, 0% Financing with delayed payments is the ultimate payment plan to allow you to enjoy the benefits of improved vision years earlier than you thought possible. Don’t delay your decision to have LASIK. Our unique financing plans can be customized to your budget. You will get to choose the payment terms and the amount of the procedure financed. Dr. William Ellis is dedicated to the very highest level of care, and the most comfortable, and safest laser eye surgery possible. We were among the first to upgrade our Bausch and Lomb excimer lasers to 100 Hertz. We among the first in the U.S. to use the APT excimer laser software developed by the University of Rochester which gave the very best clinical results of any laser on the market. In this study, 94.6% of patients had 20/20or better vision, uncorrected after treatment with Zyoptix Wavefront technology combined with APT software! All patients who elect to have laser vision correction at Ellis Eye and Laser Medical Centers undergo a comprehensive preoperative evaluation as well as post-operative care. Patients at Ellis Eye are consistently satisfied and impressed with the high level of nurturing care provided. We are proud to offer the best financing, and technology available in the entire United States. And our services are given with personal attention too! We are among the few surgeons in the U.S. to offer an optional lifetime warranty plan. We are proud of our achievements and stand behind our work. Our high level of patient satisfaction is evidenced by the fact that over 70% of our patients are referred by other satisfied patients; one of the highest referral levels in the entire industry. Put yourself in the safe and caring hands of Dr. William Ellis. Experienced, dependable, affordable! Our friendly staff and physicians are dedicated to making your experience as safe and pleasant as possible. Our credentials speak volumes about our experience and successes. We employ dedicated, people, trained to deliver the first class attention our patients deserve. They are certified for their specific roles and duties upgrading their skills with additional training annually at the local and national level.